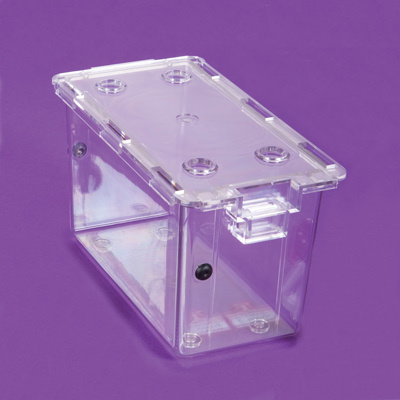 Clear, tamper-evident boxes with lids allow easy viewing of contents for a quick, convenient way to store, organize and access supplies. Lids protect supplies from damage and debris that can occur when items are loose in bins and boxes. They also allow boxes to stack on top of one another, saving space in the storage room and on mobile units. Boxes are available in Small and Large sizes. Tamper-Evident Box Seal (#18213, sold separately) is quick and convenient to apply and can be removed manually without a cutting tool. Use seals to create secure product protection. Seals are consecutively numbered and feature a double-click locking mechanism for greater security and tamper resistance.